Container size: 22 feet x 8 feet x 6 feet. 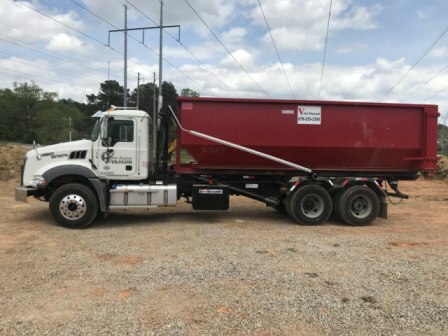 Price includes: 8000 lbs, 10 day rental. Many people say renting a 30 cubic yard dumpster is the best way of getting rid of a large unwanted debris after doing renovation works with their house. While this may be true in most cases, there are several important things that you need to keep track of if you want everything to go well. Larger amounts of property and greater size of real estate often require a lot of work during a renovation process or when adding a new garage or swimming pool. Many of the tasks that need to be performed will lead to a lot of unwanted waste and debris, which will have to be disposed of quickly if you want the job to be completely finished on time. When renovating your house and it comes to disposing of unwanted debris and dirt, the idea of renting a dumpster or container should be the first on your list. It’s much more convenient than any other methods, and it costs less than hiring a transport company to do the job for you at an excessive price. Great thing about renting a dumpster is that it can come in handy on many other occasions as well, such as moving in or out of a house, during foreclosures, when cleaning out a large estate or for spring cleaning tasks. Services offering dumpster rentals are not too hard to find. You have probably seen dumpsters close to construction sites. This can give you an idea of the fact that most container companies that deal with renting dumpsters work with contractors on a daily basis. If you go online, it’s easy to browse local listings for information on your preferred companies. Just click on your city and save phone numbers, addresses and emails from companies that seem likely to offer you the services you need. When calling to ask for information, you should already have an idea about the size of a dumpster you need, the period of rent and the budget you have got to pay for the delivery and disposal. If after having requested all this information you are satisfied with the replies and you feel you can entrust a company to provide you with a reliable service, you can think about scheduling the delivery.